Do you use Mang Park to walk, play a sport, or read under a tree? If so, then you probably have some observations and ideas about it. 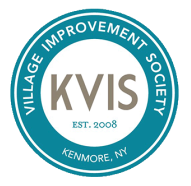 The KVIS Friends of Mang Park initiative is a way for Village residents and friends to advocate for the park while helping to form and realize a vision for it that will support this vital community resource. Friends of Mang Park meetings are lively with discussion about the green spaces, trees and plants, sporting areas, community buildings, paths, pools, and more. Please consider becoming a Friend of Mang Park today! To help with this initiative just contact the KVIS or come to the next Public Properties Committee meeting. Contribute: The Friends of Mang Park helps establish a way for Village residents and friends to contribute individual talents, gifts, and ideas toward improving the Park. Advocate: The Friends of Mang Park creates many ways for Village residents and friends to advocate for the Park. Realize: The Friends of Mang Park creates a way for Village residents and friends to articulate and realize a short and long term vision for the Park. Engage and Encourage: The Friends of Mang Park helps residents and friends to engage in positive activities that will encourage sustainable and creative use of the Park. Develop a Park design with planned plantings, benches, etc. Create a winter ice rink where families may skate, have hot chocolate, etc. Consider the health of the Park including pesticide use, etc. Conduct a study of the Park’s usage, facilities, upkeep, etc. Consider a dog park area.